Hi there! I'm Lauren and I live in Burnaby. I've owned my two pups for over 7 years - one is a Siberian Husky and the other is a Rottweiler Black Lab mix. I've also been a cat owner for my entire life and currently have two kitties - one of which was adopted as a senior. I'm well-experienced with dogs and cats, both large and small breeds, as well as with puppies, kittens, rabbits, bearded dragons and farm livestock. I'm happy to care for any type of pet! I would love to provide pet and home sitting services for other pet owners, as I understand how difficult it can be to leave your pet and home for periods of time. I'm someone you can trust to be reliable, caring, and leave your home in perfect condition. I also know the importance of routine for pets, especially while you're away. I'd love to ensure your pet is well cared for and happy, so you're worry-free. I'm happy to accommodate those living in Burnaby, New Westminster and surrounding areas. 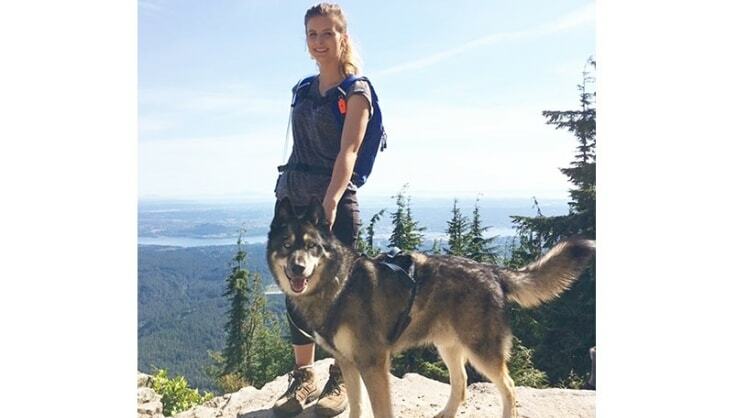 I do work full time during normal business hours (Monday-Friday, 8-5) in North Vancouver, so please take that into consideration for dog sitting and walking services. For areas that require more travel time, I am happy tostay at your homerather than provide daily visits. I do offer once-daily home visits in North Vancouver on weekdays. With four pets at my home, unfortunately, I cannot offer boarding services at this time. Please consider me for your pet and home sitting needs. My current experience as a responsible pet owner will give you reassurance that your pets are getting the best care possible. She is an amazing person: both with animals and in general. My cat does not usually like women but when she walked in the door my cat was circling her ankles the very first time. I knew from that they would get along swimmingly. She is very knowledgeable and totally okay with going with the flow that your pet requires. Not only did she do all that we agreed upon I also came home to find that my cat got a brushing while I was away, which was a wonderful surprise. It is shedding season so I know my cat thoroughly enjoyed that. I came home to find a cat that missed me but not as much as my cat would have with a different pet sitter. I would not only book her again for my future trips but would also recommend her to friends.